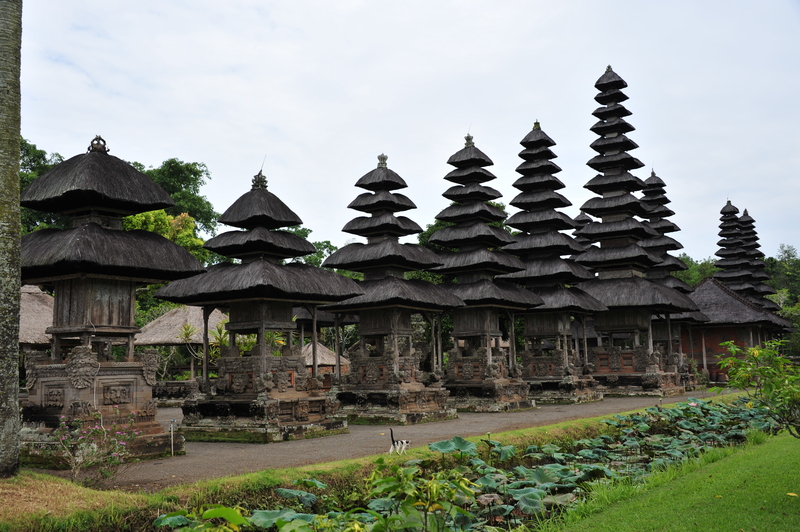 If you are planning a trip to the beautiful Indonesian of Bali any time soon then you have made an excellent choice. The island offers tourists a wide range of activities to do and places to see from glorious beaches, yoga and meditation resorts, party towns, volcanic forests and ancient religious monuments. To help you decide what to do and see in Bali here is a quick run down of some of our favourites. This popular tourist attraction in Ubud is a Hindu Temple complex that hundreds of long-tailed monkeys or ‘macaques’ call their home. Monkeys have long been considered sacred animals in Indonesia and alongside the three active Hindu temples here they really add to the spiritual feeling of the are. Also within the complex are some extremely rare plants that are conserved by the project that runs the visitor centre and guests have the opportunity to see these along with the crazy monkeys and the beautiful temples, definitely worth a visit. This incredible sea temple is absolutely worth visiting when you are in Bali, the temple is one of Bali’s 6 spiritual pillars and is built at the top of a 70-metre cliff face. The temple is intricately designed and houses some monkeys within it’s walls, take care with your possessions as the monkeys love nothing more than a little bit of light robbery. From outside the temple you will be treated to unobstructed and stunning views out to the ocean and gives you a great viewing platform to witness the incredible Bali sunset. Not an activity exactly but when searching for your accommodation before you head to Bali you should consider some of the luxurious resorts that the island can offer you. I recently stayed in the Karma Kandara Villa Bali, a gorgeous resort in the south of the island which sits right on the coast on top of a cliff giving unparalleled ocean views. There are countless resorts like this throughout the island that offer luxury, excellent service and breathtaking locations at excellent prices. Even if you don’t usually go for a luxury option when you go on your vacations, it’s worth digging around a little bit for your stay in Bali as you can snap up some great deals. Kuta is the centre for all things party in Bali and regardless of whether you are staying close to Kuta or not, you should certainly spend some of your vacation there. Kuta is in the south of the island and has gained notoriety for it’s all night parties, lively beach bars and excellent nightclubs. The drinks are cheap, the music is loud and endless and the atmosphere is always energetic. This is one of the most popular areas in Bali and expect to see many Australians here who take advantage of cheap flights to spend a fun-filled weekend in Kuta. Even if all night parties aren’t your thing then you are sure to enjoy the beach life in Kuta with all of the activities and entertainment on offer.